PA chairman sends condolences to Barcelona victims, says he condemns all forms of terror. Palestinian Authority (PA) chairman Mahmoud Abbas on Thursday condemned the terrorist attack in Barcelona, in which 13 people were murdered and 100 injured. In a message to the King of Spain Felipe VI and Spanish Prime Minister Mariano Rajoy, Abbas sent his condolences to the victims of the attack. 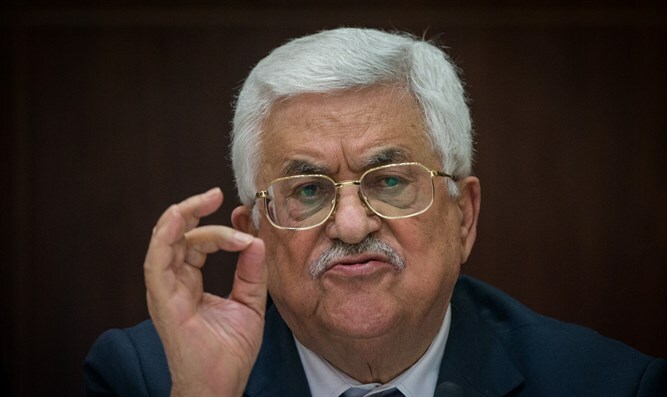 According to the official PA news agency Wafa, Abbas condemned the attack and stressed his rejection of all forms of terrorism as well as the need to confront all terrorist organizations around the world. Israeli leaders condemned the fatal attack on the busy Las Ramblas avenue as well. “This evening we again saw that terror strikes everywhere; the civilized world must fight it together in order to defeat it," he added. Jewish Home chairman and Education Minister Naftali Bennett spoke with David Hashuel, head of the Jewish community in Spain, who updated him on the situation of the community following the attack. "I offered him any help that is needed, and we agreed to keep in touch," Bennett said. "At such moments,” he continued, “it is important to understand that Islamic terrorism is trying to undermine the values of freedom and democracy wherever they are, in Barcelona, London, Paris and Jerusalem. Western countries must stand strong against terrorism and defeat it anywhere." Netanyahu earlier on Thursday visited the Foreign Ministry’s situation room and received updates on the Foreign Ministry's activities and attempts to contact Israelis who were in Barcelona. The Israeli Foreign Ministry has been working to locate any Israelis who were in Barcelona. As of Thursday evening at 11:00 p.m. (Israel time), the ministry said that that no Israelis have been identified among those killed or injured in terrorist attack.